As my various social media descriptors proclaim, I'm a fond lover of books and drinks. 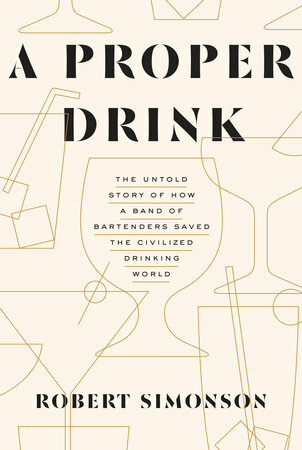 Because of this fact, it should come as no surprise that I jumped at the chance to read acclaimed New York Times columnist Robert Simonson's recent release on 'The Untold Story of How a Band of Bartenders Saved the Civilized Drinking World'. 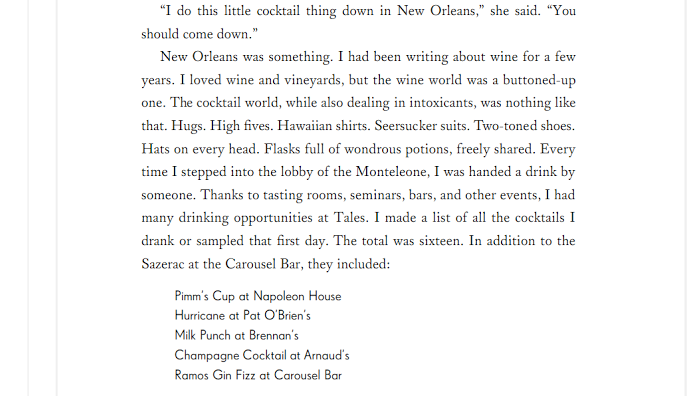 What I liked about this piece of literature is that it's unlike anything else in my libation library. It's more than just a pretty cover (which by the way, its art deco style design is very beautiful). It goes deeper than a collection of cocktail recipes. This is a book in the truest sense of the word. If you've ever tended bar or know someone who does, this would make a fantastic gift. It's also an interesting read for drinks lovers and those who appreciate quality storytelling. FTC: I was fortunate to receive a copy of this book by my own selection for review consideration through the tremendous BloggingForBooks.org program. I highly recommend this service to fellow bloggers, readers and authors alike. All opinions are entirely my own. *One of those rare gems of a song that I ephemerally loved but totally forgot about. Was excited to rediscover it over a decade later. Very appropriate tune for this post.